Can Mobile Broadband compete with the NBN? Part of the argument around the NBN is that it looks to the future- but not far enough to the future. A fibre-optic link to every home and business would be wonderful- but by the time we put it in, everyone will be on a mobile broadband connection anyway. 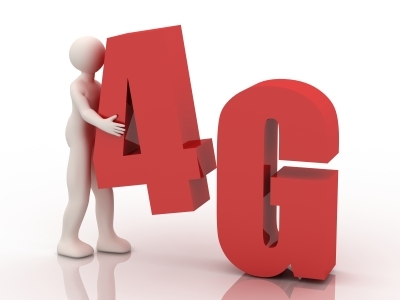 4G would have to do a lot of heavy lifting to compete with fibre. There are some encouraging trends to support this theory, favored by Shadow Communications Minister, Malcolm Turnbull. The first is from Wired, a technology magazine, which reported that Australia now has slightly more mobile broadband connections than fixed line connections. The second is that some field reports of Telstra’s new 4G network are coming back with speeds of 55Mbps. That’s beyond scorching. That’s ridiculous, and very exciting. The third is that while the NBN will take 10 years or more to complete, Optus, Telstra and Vodafone are all building 4G networks. Moreover, an auction in November this year will apportion space on the 700MHz radio band, which may be the killer ingredient of mobile broadband. The 700MHz band was previously used for analogue TV. It is particularly good for penetrating walls, maintaining quality over long distances, and offering big bandwidth – lots of megabytes per second. So it’s worth asking- do we really need the NBN, or any fixed-line solution at all? In short, the answer is a very big YES. To counter these recent statistics, in turn- the march of wireless broadband might have less to do with people converting from fixed line ADSL/Cable to Mobile, and more to do with the rise of the smartphone. Most smartphone plans come with an associated data plan, which is indistinguishable from the ‘USB Dongle’ most mobile broadband users use. Most smartphone users rely on a fixed line connection at home, so what we’re more likely seeing is that more and more people have both- a fixed line connection at home, and a mobile broadband connection (in the form of a smartphone) when they’re out. ADSL and Cable are also finite markets. They’re only available to a certain number of homes, and after nearly 20 years in service, there’s not going to be much growth. Mobile theoretically has no limit. It’s a broadcast, meaning that anyone with the relevant SIM card can jump on the network, anywhere that there’s a network point. So it has more room to grow. Of course, this means networks degrade over time, as more users get on and hog bandwidth. With that in mind, expect that Telstra’s 4G network will degrade over time, just as the Optus and Vodafone networks will. And these are maximum speeds, that can be affected just by moving around, or by inclement weather. As for the NBN taking ten years to complete – well, them’s the breaks. If every tradesperson in Australia got some training in installing cable tomorrow, we could probablyget it a lot sooner – but then all of our ferris wheels and toilets would explode. A single strand of fibre optic cable can carry more data than the entire radio spectrum – and with a connection to each residence, there’s no problem if everyone jumps on board. Your speed is your speed, unaffected by more users. Even the current fibre-optic network, the small one provided by Telstra and Optus, can’t boast that. The Telstra and Optus Cable networks are a Fibre-to-the-Node solution. That means that the fibre runs to the street, and is then shared by every residence connecting to it with normal copper coaxial cable. This is why it’s usually referred to as Cable, or HFC (Hybrid-Fibre-Coaxial), rather than as ‘fibre’. In short- In order to match the NBN’s capabilities, a mobile network of similar scope would have to have an individual tower connected to each home. That’s a lot more impactful than replacing the existing copper in the ground with fibre-optics. Mobile will be very important – as a secondary service. Meanwhile, the ability of fibre can be increased well beyond 100Mbps - the only barrier to growth being the scope of our big international links. Fibre is far more 'scalable'. Even if speeds can be matched with breakthroughs in technology, there’s still the issue of data. Right now, the average amount downloaded every month by fixed-broadband connections is a shade over 20GB. Some wags would blame this on piracy, and certainly that plays a big part. But even taking that out, the projected growth of data usage will outpace what a mobile connection can handle. Right now, most plans for ADSL/Cable start at 10GB, average over 100GB, and go all the way to Unlimited usage. The biggest plans available on mobile run to 18GB. If you’re currently on a mobile broadband connection and want more information on fixed-line, ADSL broadband, call us on 1300 106 571.